Press release: "Cognito Comics is creating a new genre of narrative nonfiction for the iPad with an immersive graphic entertainment experience. Cognito partners with world-renown authors, prestigious institutions and unique causes to tell their stories using emerging technology, top rate art, compelling narrative nonfiction writing and entertaining visual experiences. With the goal to educate on the pressing issues we face as a global community, the company is producing graphic novels that address a wide range of research-rich topics previously inaccessible in traditional print media." 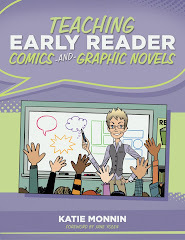 Responding to the need for modern literacy educators to use contemporary literacy technology in the classroom, Cognito Comics launches a new genre of narrative nonfiction. 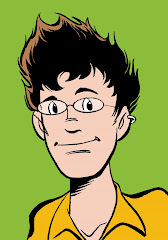 Capable of being accessed via the iPad, Cognito Comics offers online graphic novels that educate readers about pressing, contemporary, and socially conscious nonfiction stories, like Operation Ajax (which is informed and advised by the well-known journalistic work of Stephen Kinzer). "So what's the big deal? ", you may ask. 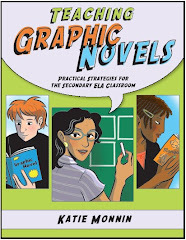 For teachers, this means that students can not only read a Cognito Comic graphic novel both in and out of the classroom, but also conduct scholarly research. Just by clicking on a character or an event, students will have access to all kinds of endless information about anything that interests them. 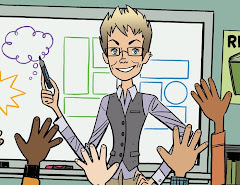 My recommendation to teachers - check out Cognito Comics, for sure!